The College opened on 1 June 1876, barely nine years after the country itself was founded. It is located on Point Frederick, a small peninsula near Kingston, Ontario, and is a site of considerable historic interest. In today's world, life skills are as important as professional qualifications. The Royal Military College of Canada (RMC) lays the foundation for the professional and personal skills necessary to meet the unique challenges of a career as a Canadian Forces officer. RMC is a military university. It exists to educate and train future leaders for the Canadian Forces. In fulfilling this role the College provides a university education unique in Canada, and perhaps in the world today. It is located in a pristine area known worldwide as The Thousand Islands. 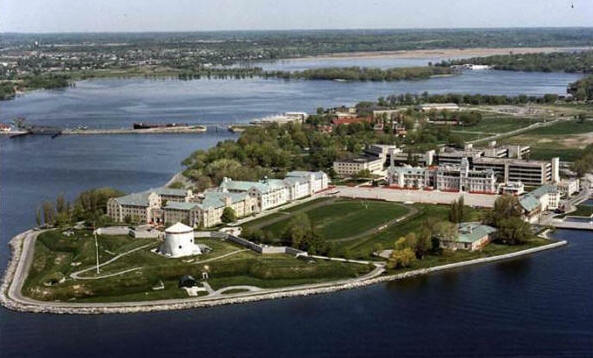 The Royal Military College of Canada (RMC) is a national university for educating and developing exceptional leaders committed to serving Canada with honour. In 1995, Canada’s other two Military Colleges were closed as a result of budget cutbacks and Force reduction. RMC is now the only military academy in Canada.